Rare 1993 Silver Eagle – Fewer Than 10 Known! 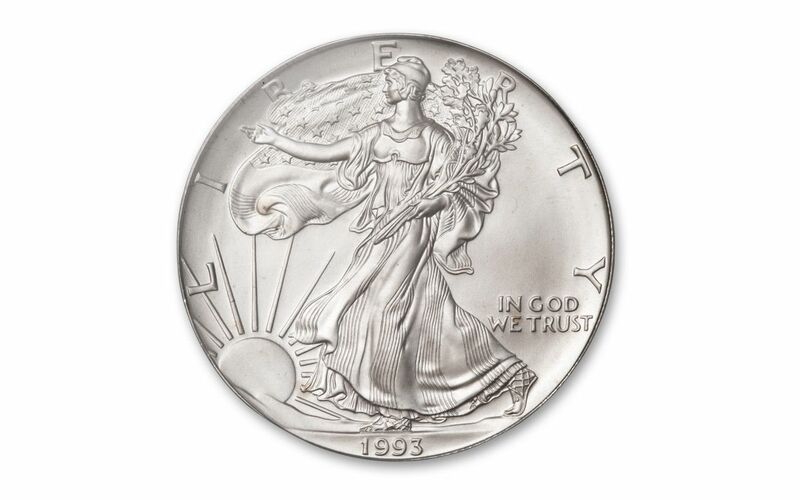 In 1993, the U.S. Mint struck 6,763,762 one-ounce, 99.9% fine Silver Eagles. But if so many were struck, how could this U.S. Silver Dollar be one of only 9 known? The answer lies in its pedigree. First, it comes certified and graded by the Numismatic Guaranty Corporation (NGC) as being in flawless Mint State-70 (MS70) condition, a distinction that means your perfectly graded coin will have ZERO imperfections – showing all features and fields exactly as the engraver and mint intended. Second, it comes sonically sealed in a protective display holder with a label personally hand-signed by John Mercanti, 12th Chief Engraver of the U.S. Mint and the designer of the coin’s beautiful heraldic eagle reverse! According to the NGC population report at the time of this writing, only 262 American Silver Eagles struck in 1993 have been graded as being perfect Mint State-70 condition. And of those, just nine have been encapsulated with a Mercanti hand-signed label! The Silver Eagle is considered one of, if not the, most collected coin worldwide. And if you collect these coins, this may very well be your holy grail – and we’ve managed to secure two of the only nine known to exist. Get one or both for your collection and order immediately! 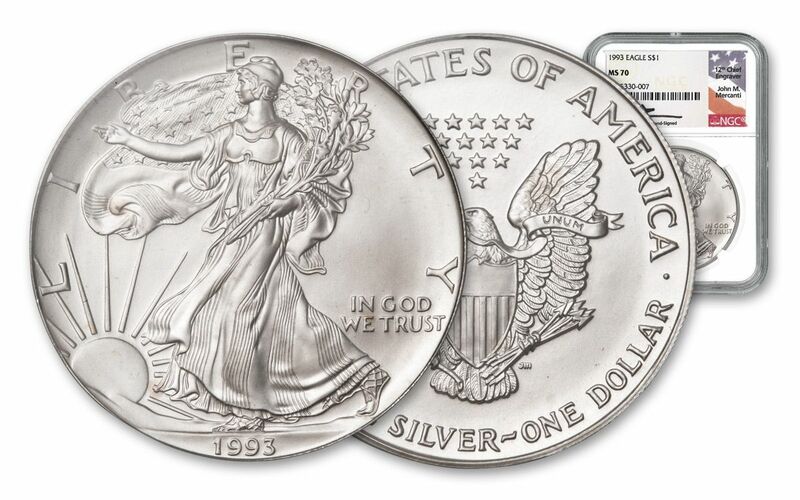 ONE OF AMERICA’S MOST POPULAR COIN DESIGNS – Adolph A. Weinman's iconic Walking Liberty design first made its debut on the 1916 half dollar, lasting three decades before bowing out in 1947. In 1986, this iconic image was reborn for the Silver Eagle – where her exquisitely detailed beauty has remained ever since. It’s paired with a reverse design that features a stoic and symbolic heraldic eagle created by designer John Mercanti – the most prolific coin and medal designer in United States Mint history! EXPERTLY STRUCK IN HIGHLY PURE SILVER – The artisans of the U.S. Mint are known around the world for their skill and attention to detail. It's this talent that transforms each one-ounce planchet of 99.9% fine silver into a beautiful piece of numismatic art. 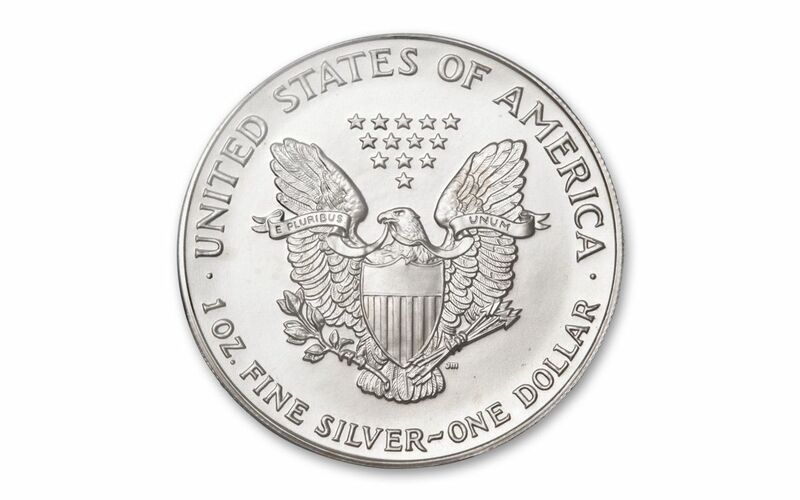 U.S. LEGAL TENDER – Each 1996 Silver Eagle bullion coin is one dollar United States of America legal tender, as seen on the coin's reverse. 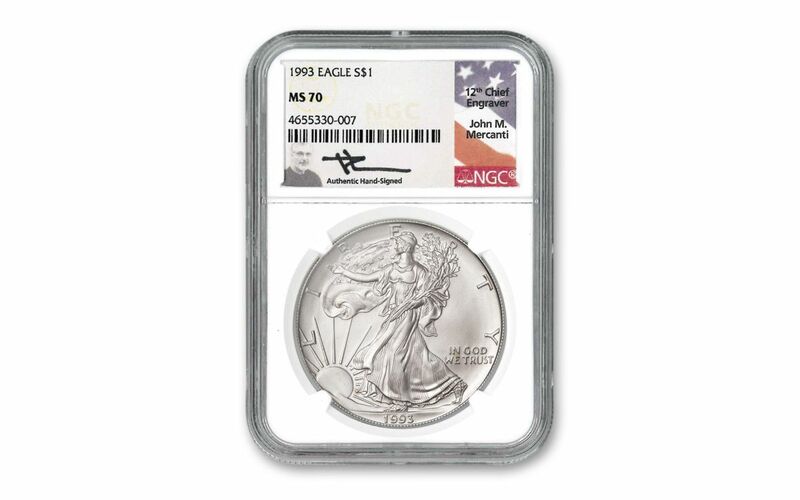 GRADED IN PERFECT UNCIRCULATED CONDITION – Your 1993 American Silver Eagle has been graded by the Numismatic Guaranty Corporation (NGC) to be in flawless Mint State-70 (MS70) condition, a distinction that means your perfectly graded coin will have ZERO imperfections – showing all features and fields exactly as the engraver and mint intended! PERSONALLY SIGNED BY JOHN MERCANTI – This American Silver Eagle comes sonically sealed in an acrylic holder with a label that was personally signed by John Mercanti, the U.S. Mint’s 12th Chief Engraver! THE RAREST SILVER EAGLE – Of the nearly 7 million One-Ounce Silver Eagles struck in 1993, just 262 have been graded by NGC in Mint State-70 condition. And of those, only 9 have been specially encapsulated with labels personally signed by John Mercanti! Don’t miss your opportunity to add this extremely scarce American Silver Eagle to your collection. Click it to your cart right now!